In my home, Christmas just ain’t Christmas until we start playing ‘A Motown Christmas’ cd, which is a compilation album featuring christmas music sung by some of the greatest artists to ever come out of Motown. The album came out in 1973 (the year I was born) and its music can still be heard and enjoyed today during the holidays. The lyrics above are from Stevie Wonder’s ‘What Christmas Means To Me‘ is one of my favorites! In fact, the whole album is a family favorite. That’s why when I learned that ‘A Motown Christmas‘, a musical review presented by Li V Mahob Productions and the Town of Cary, was coming to the Cary Arts Center I had to make plans to see it! I even hosted a giveaway for 1 winner & guest to enjoy opening night on Friday 12/28 at 8pm. I went to the Saturday 12/29 3pm show with my husband, our daughter and my mother, who came from out of town to see this show! We thought it was FANTASTIC! Their renditions of so many Motown classics were incredibly good. The groups were paired to best utilize their vocal similiarities to the originals. There was plenty of hand clapping and foot stomping to go along with superb storytelling. We got a bit of history lesson to start the show of how this production came to be along with the humble beginnings of Motown. There was no better combination than the festive Motown Sound and the gospel of love. The whole family can celebrate the joys of the holidays at this exciting, family fun musical event. This musical revue showcases original Christmas and holiday songs by Motown’s most celebrated artists like The Supremes, The Jackson 5, Stevie Wonder, Smokey Robinson and Marvin Gaye as well as the sounds of your favorite traditional carols. Under the music direction of Ronzel Bell, the direction of Deb Royals-Mizerk and choreography by Darian Moore, this show offers audiences a unique holiday experience full of soul, holiday joy and a message of Love. This show has one intermission and runs approximately 2 hours, but as the saying goes..time flies when you are having fun! The cast, which features some of the Triangle’s most gifted singers and musicians, did an amazing job of entertaining the audience. They kept us dancing and singing along in our seats without missing a beat! Motown music is cross generational bringing joy and wonderful memories. Christmas time with a Motown influence uplifts us all! Nate Jacobs’ A Motown Christmas is a great way to say goodbye to the holidays and hello to the New Year. I definitely think this is a show worth seeing with the whole family! •HAVE YOU SEEN ‘A MOTOWN CHRISTMAS’ MUSICAL REVUE? •WHAT IS YOUR FAVORITE MOTOWN CHRISTMAS SONG? The Art of Cool Festival 2018 has come to a close, but we here at SobeSavvy.com was fortunate to attend and share with you some of the magical moments from #AOCFEST. There has been so much growth since we attended the Art of Cool Fest in 2015, and I am so glad to be apart of highlighting this amazing festival. This past weekend, we celebrated the 5th Anniversary of this great music festival that brings jazz-inspired music, artists and all the Cooligans together in Downtown Durham, NC. Trust me, you don’t want to miss next year! This year the AOCFEST experience was expanded to include Jazz, R&B, Hip Hop and Soul performances by renowned artists from around the world! 20+ artists, 6 venues, 1 price to enjoy: Live Music Concerts, shop from local vendors at the Urban Street Market, dance, mingle and network at the various Day Parties, savor Durham cuisine from the featured Food Trucks and quench your thirst at the Beergarden. The AOCFEST 2018 truly had something for everyone. It’s an amazing sensory experience you must see, taste, hear, and feel! The fun began on Friday with the arrival of music lovers to Downtown Durham. Festival goers could shop for some official merch at Wristband City, grab a cocktail, and listen to live music at various pop ups and attend free Innovate Your Cool seminars / workshops focused on Innovation, Music and Culture. I caught at DJ set on the rooftop at Unscripted Hotel where The Lux Blog held a meet-up mixer to welcome everyone including bloggers/social media influencers to the Art of Cool festival. It was a vibe! Downtown Durham is a walkable city and the perfect place to host the AOCFEST because all the venues are conveniently within walking distance to each other. Just a couple of blocks over from Unscripted, I was able to catch MeShell N’degeocello at the Carolina Theater. She is a talented singer and musician who reminded us in the audience that although the lighting was not ideal, MUSIC. IS. SOMETHING. YOU. FEEL. She took us down memory lane by singing her funky smooth renditions of Lisa Lisa & Cult Jam “I Wonder If I Take You Home”, Al B. Sure “Night & Day” and TLC ‘s “Waterfalls” along with her classic song “Grace” from her album Bitter. Maxwell headlined at Durham Bulls Athletic Park, which is new on this list as an official AOCFEST stage. Everyone who was either seated in the stadium watching his concert from the jumbo screen or on the field could see his moves and feel his groove! There were so many favorite songs by the incomparable male singer that turned into a sing-a-long, such as “Pretty Wings”, “Bad Habits” and “Fortunate”. Downtown Durham was the place to be for the second and last day of music and festivities. Even if you were not going to the concerts, there were so many ways to support the community and enjoy the amazingly cool city of Durham. A 90’s style vintage pop up party hosted by The Key to Style was my first stop before heading to the heart of the Bull City. CCB Plaza, near the iconic bull statue, is where emerging artists performed cyphers and Hip Hop radio station K97.5 held a block party showcasing local talent. From there, I took a short walk to Pinhook, an iconic live music venue in Durham perfectly sized for intimate performances. Durham’s own Zoo Cru were up first. This quartet of musicians jammed out to their own unique sounds that is really beyond description. Not electronica and not R&B but a subtle blend of both. I love to support local, so I enjoyed my first listen from this popular band. Next up at Pinhook was renowned trumpeter Keyon Harrold. He has done music and horns for A listers such as Beyonce and JayZ over the years. In addition, Mr. Harrold did the music for the hollywood movie “Miles”, so his resume is unmatched. Wynton Marsalis has called him “The Future of the Trumpet”. He did not dissapoint. His breath control and range were simply amazing. He was paired with a female vocalist which added a different angle to his horn. Unique and dynamic music is just one of the many things you will always experience at AOCFEST. What’s a festival without the opportunity to shop from a variety of vendors? The Urban Market, set up on Blackwell Street, was the answer for those of us who like to shop local. Vendors were on hand selling quality products such as clothing, artwork, accessories and natural body care products, like my favorite Nailah Shea. Enthusiastic and stylish crowds took advantage of the warm, sunny afternoon in the Bull City. It was fun for the whole family! My AOCFEST experience ended with seeing the one and only Erykah Badu, who is the first female to headline the Art of Cool Festival. Nas had just rocked the mic and said goodnight as i was entering the stadium. Before Ms.Badu came to the stage at the Durham Bulls Athletic Park, the crowd heard from the new President and VP of The Art of Cool Festival, Sulaiman and Lesleigh Mausi, Founders of The DOME Group, LLC. They thanked the sponsors and all the fans for a fabulous Art of Cool Festival weekend. Ms. Badu came to the stage with her big hat, her big hair to match her big voice and asked..”Brothers, how y’all feel? Sistahs, y’all alrite” ? She really needed no introduction because her energy fills up any atmosphere. Erykah Badu almost single handidly created the genre called “Neo Soul”. Her music, style and delivery of colorful lyrics has made her one of the most unique talents of our time! Fans filled up Durham Bulls Athletic Park and joined together to celebrate her greatness which like her song, goes “On and On”. Electric ending to another exciting and informative Art Of Cool Festival. The AOCFEST is one of the best music festivals that gets better every year. Be sure to check out aocfestival.com • #AOCFEST and make plans to visit Durham, NC to experience the Art of Cool Festival next year! Congratulations again to Art of Cool Festival for 5 years strong! Opening Night Review|HATS OFF to ‘CROWNS’👒 ! Now playing @RLT1936 thru 9/10 in #Raleigh ~Get Tix NOW! hats to church. Their curiosity led to the publication of the now iconic book (which I received as a Christmas gift in 2003 from my in-laws) entitled “Crowns”. They have the picture of 50 African American Women wearing their hats, or Crowns to church. They has a profile of each women to go with the back story behind their hats. This book ‘CROWNS’ was made into an off broadway play and has had many adaptations nationwide on stage throughout the years that have followed. told over the course of a Sunday. The audience sees these various women get ready for church, attend a morning service, a wedding, a funeral and a baptism. feet. It was truly a shared experience no matter your age, race, gender or religion. I think everyone felt the uplifting spirit of the play and got the message from the monologues, as well as the lyrics of the songs. BRAVO to all the actors on stage, who were locals who auditioned right here for the chance to show their talent for the entire Triangle to witness! SobeSavvy Tip: Arrive early to see the exhibition on display of the CROWNS contest winners. Six women were chosen to be photographed wearing their ‘Crowns’ based on their shared stories of what wearing a hat means to them. Tickets are available >>>> here. Some shows are already sold out, so don’t wait! On Aug 27 a panel discussion, sponsored by North Carolina State’s African American Cultural Center, will be held after the show to discuss the history behind the hats worn by black women. The talk will be led by Moses T. Alexander. Get Ready, Get Set and Go…………….. make plans to see the NC Chinese Lantern Festival this holiday season! SobeSavvy.com was there along with many more for the kick off of opening night on November 28 at Cary’s Booth Amphitheatre. Now thru January 15, 2017, join thousands of people to see a magnificent display of art and culture. WHAT: The Festival displays hundreds of larger-than-life lanterns all aglow with thousands of LED lights, creating a mesmerizing feast for the eyes that takes about an hour to walk thru! WHERE: Koka Booth Amphitheatre in Cary, NC *Parking will be free of charge in venue owned lots. ones favorites. A pair of Pandas were even on a see-saw playing! 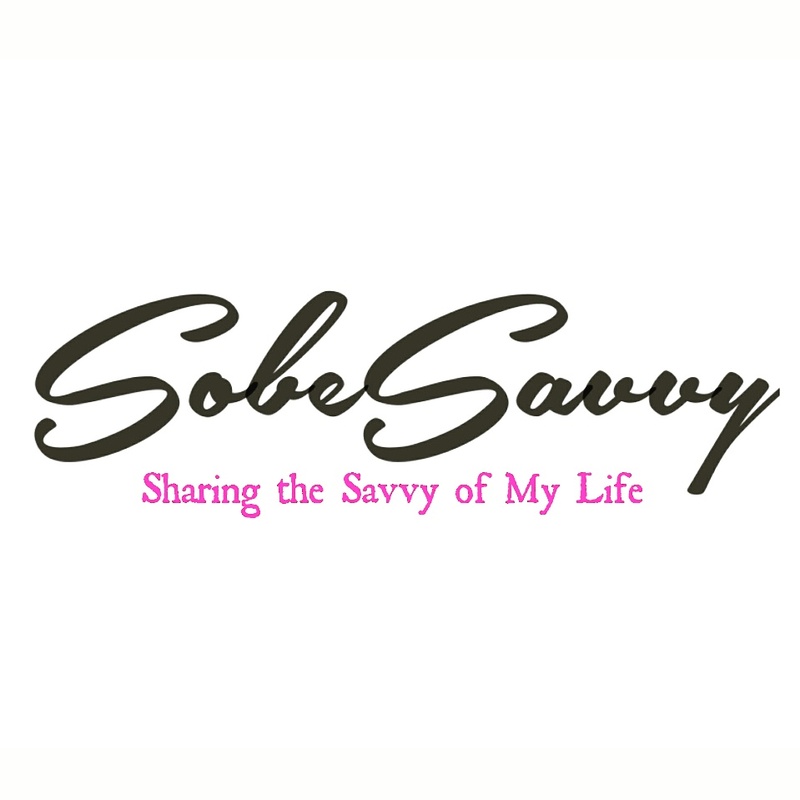 More photos can be seen here on SobeSavvy.com ‘s Facebook page. Also on social media, follow #ncchineselanternfestival to see pictures shared by visitors who attended this wonderful event! This beautiful fall afternoon my family and I went to Meymandi Concert Hall for a very special kids event: The North Carolina Symphony Young People’s Comcert The Music Of Star Wars. The iconic movie soundtrack that has now been around for 2 generations was the centerpiece of an afternoon of kid centric fun just in time for this Halloween weekend in Raleigh, NC ! This performance was the first one in the 3 part Young People’s Concert Series for the 2016/17 season and because it was Star Wars themed guests got to take pictures with their favorite costumed Star Wars characters from the all-volunteer 501st Legion! Make sure to arrive early for all the pre-concert activities, including face painting and our popular Instrument Zoo! So get dressed up as your favorite Star Wars characters and join in the fun ! Get your tickets to 4pm Raleigh show today or tomorrow’s performance in Wilmington here ! Savvy Tip : See all 3 Young People’s concerts for just $49 when you buy a package ..or 2 concert series for just $30 at ncsymphony.org ! Mesmerizing Movement and Music.….The No. 1 Dance Show of the World, RIVERDANCE opened last night at DPAC and runs through June 12. The international Irish dance phenomenon is back by popular demand in Riverdance – The 20th Anniversary World Tour. Drawing on Irish traditions, the combined talents of the performers propel Irish dancing and music into the present day, capturing the imagination of audiences across all ages and cultures in an innovative and exciting blend of dance, music and song. Of all the performances to emerge from Ireland – in rock, music, theatre and film – nothing has carried the energy, the sensuality and the spectacle of Riverdance. Riverdance – The 20th Anniversary World Tour is composed by Bill Whelan, produced by Moya Doherty and directed by John McColgan, and comes directly to North America from a sold out run across Europe and Asia. To mark the eagerly awaited return of the show to North America, ending a four-year absence, Riverdance – The 20th Anniversary World Tour will feature new costumes, new lighting, new projections and the addition of a brand new number, “Anna Livia,” featuring the female members of the Irish dance troupe in an acapella hard-shoe number. Last night at DPAC, the audience gave a standing ovation for the riveting performances of Riverdance – The 20th Anniversary World Tour. It was a celebration of an extraordinary milestone for an incredible show and guests gave an enthusiastic applause for the Riverdance Irish Dance Troupe and entire ensemble for making a stop at DPAC during the Encore Broadway 2015/2016 season. The combination of the music and the movement was truly mesmerizing! I enjoyed the original irish dance choreography and was pleasantly surprised to see other genres of dance featured such as Argentine flamenco and the African American tap dancing tradition.The production masterfully succedded weaving in history lessons with entertainment. It told the story of many immigrant dance traditions that make up the art form. Here are a few photos taken last night #onlyatDPAC ! *see page 38 in your playbill for ad/coupon for these delicious GIGi’s Cupcakes ! I highly reccomend the ‘wedding cake’ cupcake. To see more photos from the event go to http://www.flickr.com/photos/dpacnc for more on the red carpet at DPAC !